Construction has been underway since June on Norway’s €5.3 billion (~$6.6 billion) National Museum at Vestbanen, a former railway station on Oslo’s waterfront. The 177,165-square-foot institution will span seven football fields and house four formerly separate museums, including the National Gallery, which museum officials said was small and outdated. “This new museum will speak to modern man,” museum director Audun Eckhoff told the newspaper Osloby. But the major effort is not without its detractors. The activists believe it is in the interest of the new National Museum to do so. Architect Kristian Vårvik has said that when the National Gallery first explored the need for more space in 1991, it estimated it would need at least 16,732 square feet (5,100 square meters) for it’s “older” art. Though its collection has expanded, the new museum will only dedicate about 12,000 square feet (3,600 square meters) to the older art. 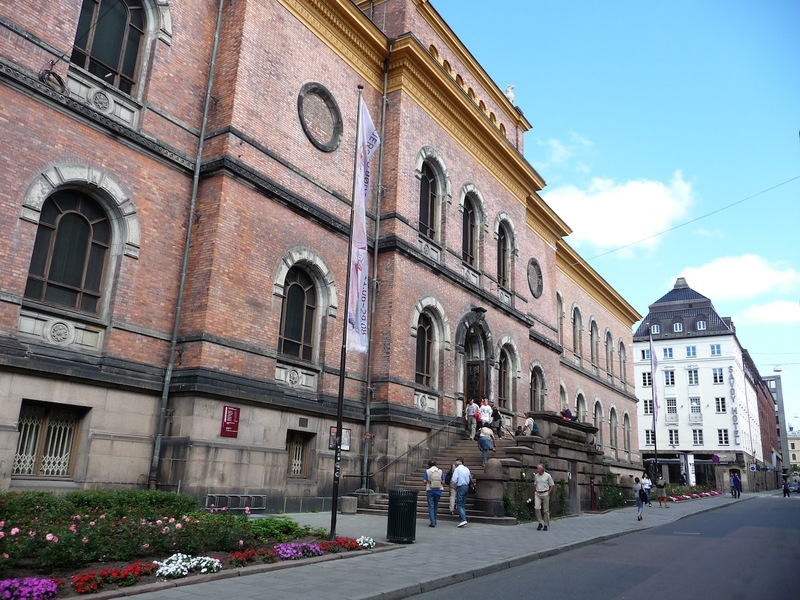 Vårvik and her fellow activists believe that by preserving and keeping the current building as a second venue, officials can kill two birds with one stone. “You solve two problems: the practical need for more exhibition space, and the saving of this valuable building,” she told Aftenposten. Museum director Eckhoff has brushed off their concerns about needed space, saying that older estimates were based on the former director’s “relatively airy aspirations.” He said it’s impossible to look at the older art in isolation, and that the new building will dedicate nearly 43,000 square feet (13,000 meters) to old and new art and design. Regardless, he would welcome the task of managing the older building if there was political interest in preserving it. Whatever its fate, the government has said it won’t be able to do anything with the National Gallery until after 2020.